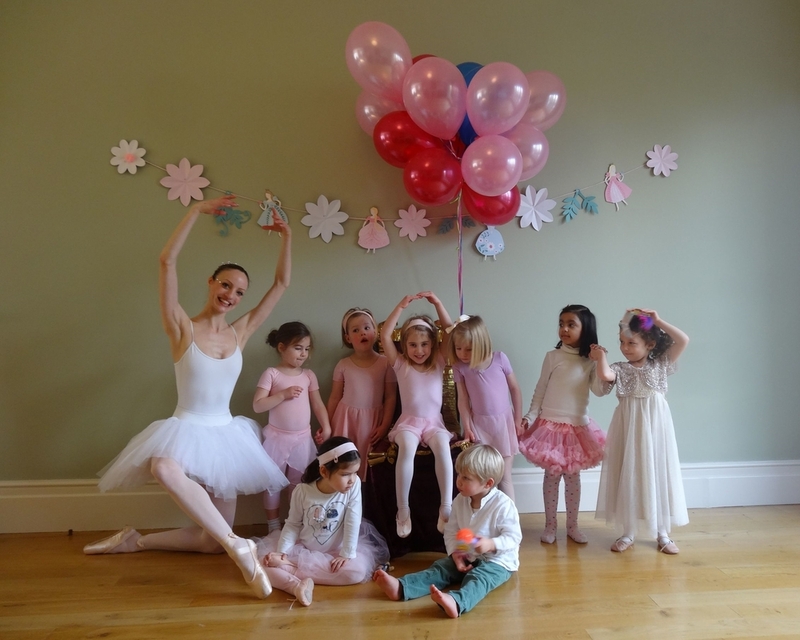 I offer wonderful Ballet parties for your children and their friends to enjoy. This may be a birthday, a celebration or simply a great way to get together for some fun over the holidays. Bringing the live essence of a real ballerina to your party, adorned in professional ballet attire and a sparkling personality, Miss Samantha will enthuse and entertain your children with ballet dancing activities to dance their hearts out to and even dance for them (en Pointe). The parties are enriched by theme and imagination, props for all the children, specially selected music, and a gift for the birthday girl or boy. Quotes are based on up to 14 guests but I can cater for more with an assistant (this may incur additional costs of course). I am a professional ballerina and teacher who adores children and loves to inspire everyone. 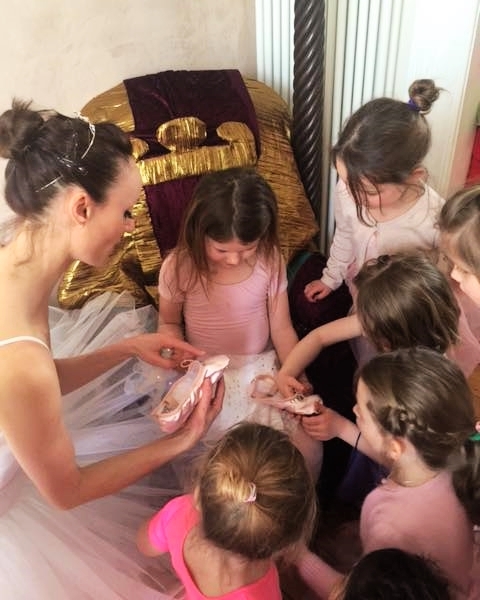 A ballet dancing session; children learn beautiful steps & sequences then have fun expressing their balletic moves through a magical “Ballet adventure”. Children learn beautiful steps & sequences then have fun expressing their balletic moves through a magical “ballet adventure”. Older children will get to learn & perform ballet sequences inspired by real ballet repertoire such as Swan Lake or The Sleeping Beauty. Miss Samantha re-appearing in a tutu with her point shoes and offering a short demonstration to further inspire. The event concludes with a ballet themed question, answer session. Topics will be specific to the particular age group but may include passing around & discussing point shoes, how ballet dancers can do the splits & pirouette etc. 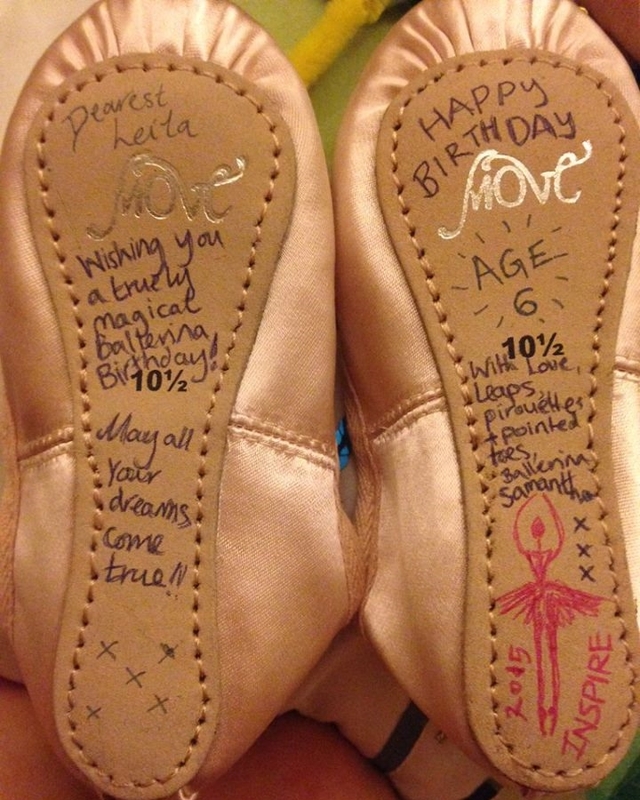 Finally the ballet gift is given [optional diamante decorated signed ballet shoes £13] via “parse the pirouette parcel” and all conclude with a free for all dance and photo opportunity with a real ballerina. - A quote would be discussed. - Timings inclusive of set up, organizing children, issuing props etc. Party food or cake are usually slotted in within the schedule. Additional guests may happily be included but may incur extra cost for additional props and staff.